Have a question for the project team or a suggestion relating to the development plan? Bethany Creek Trail #2 – Segment 3 is a new community trail segment located in the Bethany area of Washington County. 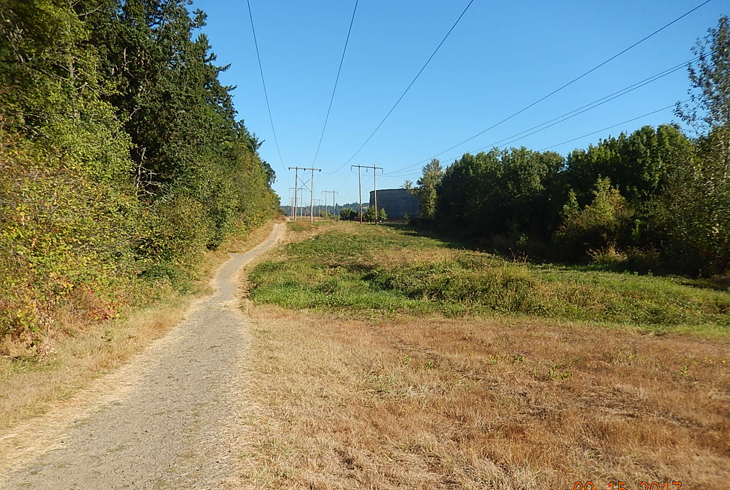 It will extend from THPRD’s Rock Creek and Westside Regional Trails north to NW Springville Road along the east edge of Kaiser Woods Natural Area and Kaiser Woods Park. The project includes a pedestrian crossing at NW Springville Road with connectivity to trails and neighborhoods in Bethany. 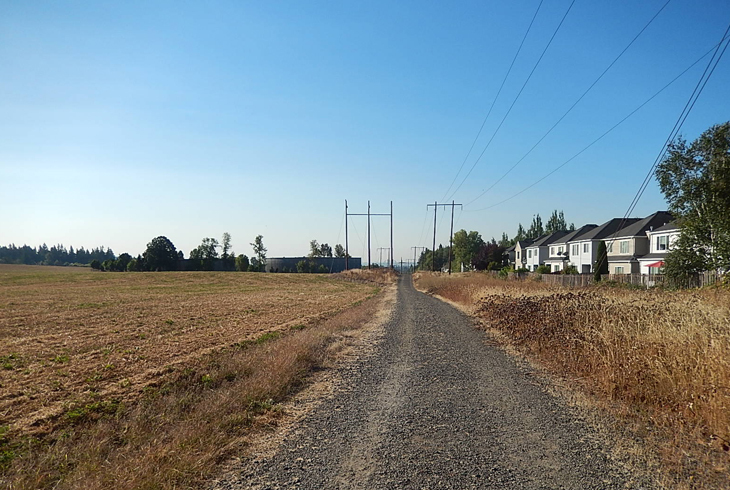 The proposed trail alignment is approximately 0.44 miles and runs almost entirely within a Bonneville Power Administration (BPA) Right-of-Way (ROW). The project spans multiple jurisdictions including Washington and Multnomah counties and project permitting will need to address the requirements of each jurisdiction as appropriate. 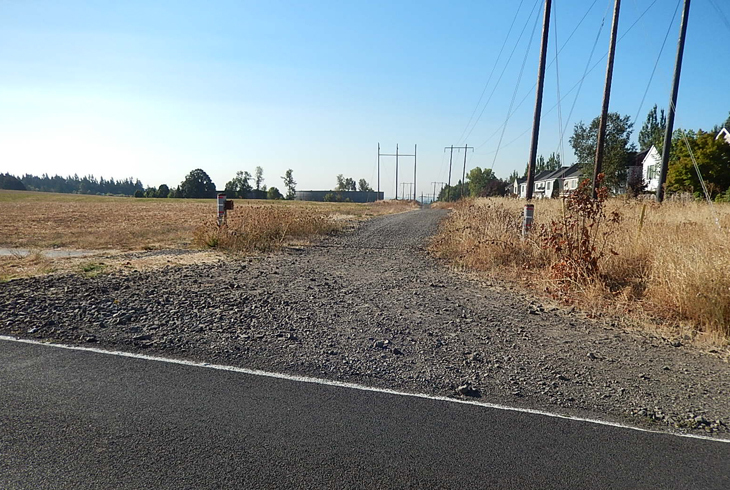 There are multiple THPRD properties and parks within a half mile radius of the project, and this new community trail segment will provide connectivity to adjacent trails, parks, schools and neighborhoods within the Bethany area. The project kicked off in January 2018. THPRD's design consultants began surveying and mapping of the project area for site analysis in March 2018. Public outreach and master planning efforts also began in March 2018 and continued into fall 2018. Construction is anticipated for the summer of 2020. THPRD held a neighborhood meeting on June 26th, 2018 to provide an overview of the project and receive public input on the conceptual master plan. Public input was also received after the meeting via email and online through July 10th, 2018. THPRD held a second neighborhood meeting on September 10th, 2018 at the CPO 7 regular monthly meeting in Bethany, where staff and the design consultant presented a project update and the preferred master plan for public input. Public input was also received after the meeting via email and online through September 17th, 2018. Materials from the public meetings can be viewed in the Documents & Media section of this web page. The public input received during the outreach process has helped to guide district staff and the design consultant in the project planning and refinement of the preferred master plan. The THPRD board of directors approved the Preferred Master Plan at their regular meeting on October 16, 2018. The Approved Master Plan can be viewed in the Documents & Media section of this web page, labelled "Approved Master Plan 10/16/2018". The project is now in the Design Development and Land Use Permitting phase. Staff and the design consultant anticipate submitting applications to Washington and Multnomah counties for land use approval during winter 2018/19. Project updates will continue to be posted to this project web page as they become available. Please direct project-related comments or questions to Rob Russell via email or electronically via the online comment form. Bethany Creek Trail #2 – Segment 3 is a new community trail segment located in the Bethany area of Washington County which will extend from THPRD's Westside Trail north to Springville Rd along the east edge of Kaiser Woods Natural Area and Kaiser Woods Park. Please join THPRD staff and our design consultant for an overview of our newest trail project.